We looked at the top 1 Electric Chainsaws and dug through the reviews from 3 of the most popular review sites including CA Best Reviews Guide, Whack Your Weeds, Consumer Expert Reviews and more. Through this analysis, we've determined the best Electric Chainsaw you should buy. In our analysis of 121 expert reviews, the Poulan Poulan 14 in. 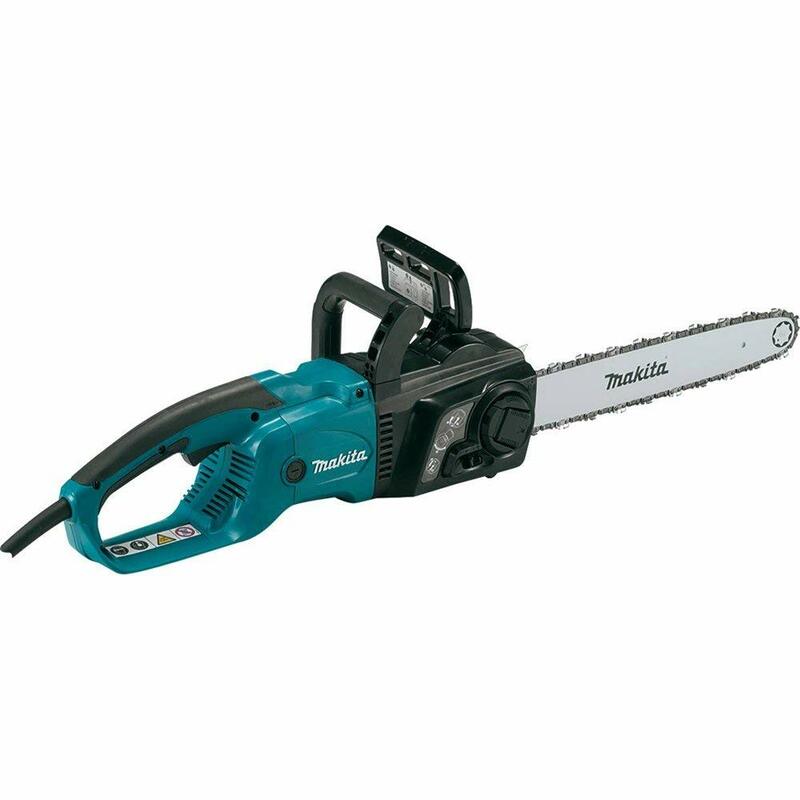 9-Amp Corded Electric Chainsaw placed 6th when we looked at the top 9 products in the category. For the full ranking, see below. Designed for quick cuts. Less kick for easy cuts and less maintenance needed. Inline engine design for added control and balance. This is battery-powered, so if you plan on using this deep in the woods make sure you have a generator. Has less power than some. Powered by a, easy-starting 9Ah motor, the Poulan PL914 chainsaw with 14 in. bar is lightweight and features an inline engine design for added balance and control. With an easy-to-see chain brake alert, convenient, tool-free, side-mounted chain tensioning for fast, simple adjustments, and an automatic oiler that keeps chain consistently lubricated for less wear, longer engine life, less kick-back, greater cutting performance, and minimal maintenance, it's ideal for light-duty storm clean-up, trimming, and cutting firewood.